Product prices and availability are accurate as of 2019-03-05 14:38:32 EST and are subject to change. Any price and availability information displayed on http://www.amazon.com/ at the time of purchase will apply to the purchase of this product. 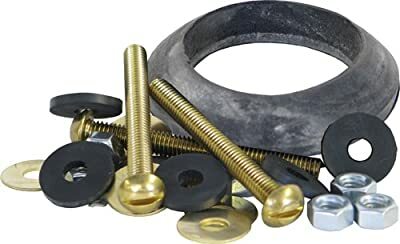 This is a heavy duty universal fit tank to bowl Kit that includes brass bolts, rubber washers, metal nuts and one gasket and will fit most toilets.